Adobe has finally killed off Flash, although unfortunately it has only killed off the name and not the actual platform. Flash Professional CC will now be known as Adobe Animate CC as part of the company's "ongoing commitment to evolve to support multiple standards," namely - HTML5. Animate will include new features including high-quality stock art and vector brushes but the actual foundation for the development platform still exists and that means massive security issues and a generally horrible reputation. Following the announcement, many in the industry asked why Adobe even bothers to support the platform given the fact that everyone has moved to HTML5. 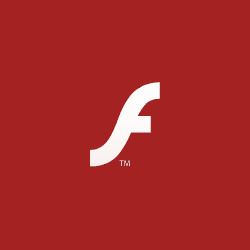 "There continues to be a huge amount of Flash content out there, especially video and gaming content, and we plan to do all we can to keep Flash Player stable and secure because it is the responsible thing to do," said the company in response. What would fix it's reputation is to kill off Flash and all it's variants, remain a company that makes software and let someone else takeover the absent reins of Flash. And this is the exact problem right there, their efforts to keep Flash secure have been an outright failure for many years. Nobody can stop occasional vulnerabilities, but the huge level of them that Flash has experienced for many years now means they've lost any credibility when they talk about making it secure. I normally don't use Google Chrome browser but whenever I need to access web pages with flash content I do. It can handle it very well. I don't need Flash installed on my system at all. I have flash but have it set to Ask to activate. Adobe is a nasty company with a lot of crap software except their CS suite. Flash/Java/Silverlight all need to go away. Java and Flash are what instigated the viruses from the very beginning of the internet. This should be illegal. Changing a name and trying to conceal the nastiness of the product.